Easter is always packed full of great Easter Egg posts, but this year there have been quite a few fun Easter ideas using the egg cartons. The newest are these beautiful daffodils from Intimate Weddings. 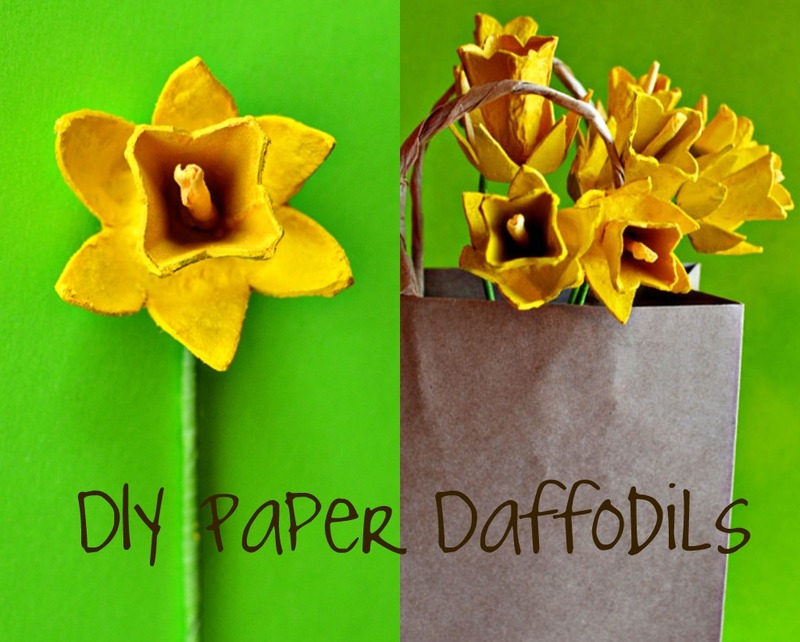 And you can make more than just daffodils. 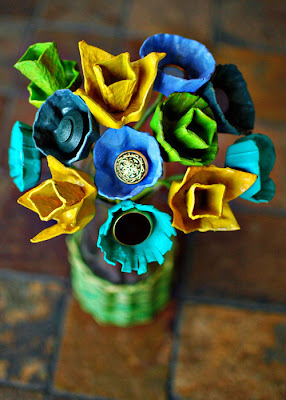 There is a tutorial for an entire bouquet of egg carton flowers HERE. But if you prefer the daffodils for Easter, you can get the tutorial for those HERE. 3 words: Ken. Tuck. Eeee. I would go Kentucky derby style with the big hat! super cute! and would love the Louisville trip! Although I have not read the tutorial on this one yet, I am imagining mine wouldn't look quite this beautiful. Hey, I've got a crazy idea, let's go to Kentucky in May! it's amazing that something so pretty can come from...and egg carton! Now those are really cool.